The following booking conditions set out the terms and conditions of the contract between you and Andorra Travel Service (“we”, “us” and “our”). Please read these carefully as they govern the relationship between us. Your contract will be subject to English law and any disputes will be dealt with in the courts of England. If you live in Wales, Scotland or Northern Ireland the courts of Wales, Scotland or Northern Ireland (as appropriate) can deal with any disputes. Please discuss your choice of resort, accommodation and transport with us before you book, to make sure it will be suitable for you and the people you will be travelling with. If you or any member of your party has any medical problem or disability which may affect the holiday arrangements of that person, please tell us before you confirm your booking so we can advise as to the suitability of the chosen holiday. In any case, you must give us full details in writing at the time of the booking. If we feel unable to properly accommodate the particular needs of the person concerned, we reserve the right to decline their reservation. If you are booking on behalf of a group, please ensure that you have the consent of all members of the party before making a booking and that all members of your party have read and agree to be bound by these terms and conditions. The person who signs the booking form or completes the booking online or by telephone will be the “lead name” for the purposes of the holiday booking. The lead name must be 18 years of age or over at the time of booking. The lead name is responsible for payment of the total booking price, which may include any subsequent cancellation or amendment charges that may be payable. The lead name must confirm that all the other members of the party agree to be bound by these terms and conditions and provide accurate and full information to the remainder of the group in relation to the booking, including any subsequent changes. Once you have paid your deposit you will be charged the full amount due of the remaining balance subject to the payment schedule. Failure to pay the balance may result in forfeiting your holiday. If you do not wish to pay the balance payment you must notify Andorra Travel Service in writing, or if you wish to cancel and withdraw from the holiday this needs to be done also. See the cancellation section for charges. Please note that any booking and contract of services is not confirmed until payment is made in full. If you do not pay the required amount by the balance due payment date, or you have not paid in full by the final balance date, and have not informed us of a cancellation, you will be subject to an automatic late payment fee of £50 per person. Please check the details on any documentation which you receive from us and please contact us immediately in the event of any errors or discrepancies. Although we will endeavour to pass any reasonable requests on to the relevant supplier, we regret we cannot promise that any requests will be complied with unless we have specifically confirmed this in writing. Confirmation that a special request has been noted or passed on to the supplier or the inclusion of the special request on your confirmation or any other documentation is not confirmed that the request will be met. All special requests are subject to availability. We consider adequate travel insurance to be essential. Please read your policy carefully and take it with you on holiday. It is your responsibility to ensure that the insurance cover you purchase is suitable and adequate for your particular needs. For those who intend to participate in sports and watersports whilst on holiday, it is your responsibility to ensure that you obtain the relevant insurance cover. Some accommodations require the guest to pay local city tax on arrival. This will only be included in the price for certain accommodations. As such, you may be required to pay local taxes or city taxes on arrival to the resort. Some accommodations require the guest to pay a damage deposit on arrival. This is need to be paid when the guest checks in to the accommodation and will be returned when the guest checks out as long there is no damage to the property. This will be down to the accommodations providers discrepancy. If you wish to query why you were charged the responsibility of this lies with the accommodation provider – however, we will do our best to assist you in contacting them and help to mediate when possible. If for any reason we are unable to supply the accommodation chosen at time of booking we will look to find you a replacement accommodation of standard deemed to be equal or equivalent. We will not refund you for any accommodation change unless you are moved to an accommodation of standard deemed to be lower. We are not responsible for any extra charges relevant to flight bookings. It is your responsibility to check in online before the flight, make sure you have adequate baggage booked and comply with all other airline restrictions. Changes in transportation costs, including the cost of fuel, dues, taxes or fees chargeable for services such as landing taxes or embarkation or disembarkation fees at ports and airports and exchange rates mean that the price of your holiday may change after you have booked. However there will be no change within 30 days of your departure. Should these price variations be downward then the price of your holiday will be accordingly reduced and any refund due paid to you. If the price variations mean that the cost of your holiday goes up, we will absorb (and therefore you will not be charged for) any increases up to 2% of your holiday price. You will only have to pay the amount over and above the 2% of your holiday price. By you: If you decide to cancel the holiday and/or withdraw from any planned activities at your option, we shall be entitled to retain as much of the deposit or other payment as is needed to cover our reasonable costs and losses caused by your withdrawal. If the balance of the price of the holiday is not received by the due date, we reserve the right to cancel the booking and retain your deposit, plus any charges subject to the below schedule. If you cancel, you will be required to pay the full cost of the flight plus flight extras, such as baggage. This is only relevant for flight inclusive package. The following schedule is for the initial package price without extras, flight or flight extras. combined cost of cancelling will be the sum of the above schedule plus the cost of flight plus flight extras. Alongside this, other extras booked are non transferrable. Please note that any deposit paid can contribute towards this. Failure to pay this charge will result in legal action. By us: We reserve the right to cancel your holiday in any circumstances. If we are unable to provide the booked holiday you can either have a refund of all monies paid or accept an offer of alternative travel arrangements of closely similar standard and price (if available) or a choice of specified travel arrangement of a lower standard to the holiday booked together with a refund of the difference in price.? You are entitled, if appropriate, to be compensated by us for the non-performance of our contract with you (i.e. if we cancel or make a significant change to your booking), except where: the package is cancelled because the number of persons who agreed to take it is less than the minimum number required, and you are informed of the cancellation in writing within the period indicated in the description of the package; or the package is cancelled by reason of unusual and unforeseeable circumstances beyond our control, the consequences of which could not have been avoided if all due care had been exercised an element of the package has been cancelled by an external company. This includes any festivals or events that make up the package. If any events run by external parties have been cancelled, for example a festival ticket or activity ticket, and we are unable to find suitable alternatives, you will be refunded for the cost of the festival or activity ticket at the price we purchase them for. We are not liable for the cancellation of any events that make up the package. You will not be refunded for your entire booking in this situation. If your planned transfer has been cancelled by the operator and we are unable to find a suitable replacement, you will be refunded for that element of the package. This will be a maximum of £38.00 each way. In the event of missed connecting transfers caused by flight delays or otherwise, Andorra Travel Service will place you on to the next available transfer service of the type you have selected. 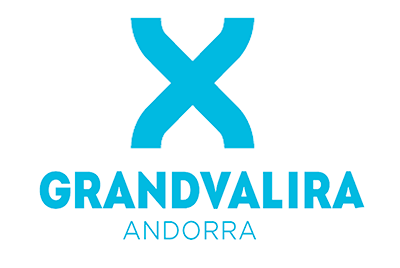 Andorra Travel Service will not be responsible for any missed services, such as foregone hours of skiing, caused by such delays. Andorra Travel Service is proud to be a member of Protected Travel Services (PTS). PTS offers the highest level of financial protection for your holiday arrangements. PTS provides you with complete protection against the failure of both the travel company you book with as well as the suppliers they use. This protection lasts from the point that you book your holiday through to the point when you return. We promise that your holiday arrangements will be made, performed or provided with reasonable skill and care. This means that we will accept responsibility if, for example, you suffer death or personal injury or your contracted arrangements are not provided as promised or prove deficient as a result of the failure of us, our employees, agents or suppliers to use reasonable skill and care in making, performing or providing your arrangements. Further, we will be responsible for what our employees, agents and suppliers do or do not do if they were at the time acting within the course of their employment or carrying out work we had asked them to do. Whether our suppliers have performed or provided their services with reasonable skill and care or not will be determined in accordance with local standards (i.e. the country’s standards where the services have been performed or provided) rather than UK standards. It is your responsibility to show that reasonable skill and care has not been used if you wish to make a claim against us. We will not be responsible for any injury, illness, death, loss (including loss of enjoyment), damage, expense, cost or other sum or claim of any description whatsoever which results from any of the following the act(s) and/or omission(s) of you or another member of your party; or the act(s) and/or omission(s) of a third party not connected with the provision of your holiday and which were unforeseeable or unavoidable; or unusual and unforeseeable circumstances beyond our control, the consequences of which could not have been avoided even if all due care had been exercised (including, without limitation, the circumstances outlined in the section entitled “Force Majeure” below); or an event which we or the supplier of services, even with all due care, could not foresee or forestall. We limit the maximum amount we may have to pay you for any claims you may make against us. The maximum amount we will have to pay you where we are found liable for loss of and/or damage to any luggage or personal possessions (including money) is £50 per person affected unless a lower limitation applies to your claim under this section. For all other claims which do not involve death or personal injury, the maximum amount we will have to pay you if we are found liable to you on any basis is three times the price (excluding insurance premiums and amendment charges) paid by or on behalf of the person(s) affected in total unless a lower limitation applies to your claim. This maximum amount will only be payable where everything has gone wrong and you have not received any benefit at all from your holiday. If you have had the misfortune to suffer illness, personal injury or death, through misadventure, during your holiday arising out of an activity which does not form part of your contracted holiday arrangements with us, we will, in our reasonable discretion, offer to help where possible and appropriate, by for example: providing our general assistance; paying your initial legal costs where you take legal action against the third party responsible for the injury, illness or death as a result (as long as we have agreed to pay them before you incur those costs and you have asked for our help within 28 days of the accident). All assistance (financial or otherwise) is subject to a maximum total cost to us of £1,000 per booking. We will not provide help with legal costs if you have legal expenses cover under your holiday insurance policy or any other insurance policy on which you are entitled to rely. Also, if you successfully claim for these costs against a third party, we will require you to reimburse us for any costs we have paid for or to you up to the maximum amount of the costs you actually receive or are entitled to receive. Except where otherwise expressly stated in these terms and conditions, where any successful claim or part of a claim (including those involving death or personal injury) concerns or is based on any travel arrangements (including the process of getting on or off the transport concerned) provided by any air, sea, rail, inland waterway or road carrier or any stay at an accommodation, the maximum amount of compensation paid to you will be limited. The maximum we, the carrier or accommodation provider (as applicable) will pay you for that claim or that part of a claim if we, the carrier or accommodation provider (as applicable) are found liable to you on any basis is the maximum which would be payable under the applicable International Convention or Regulation which applies to the travel arrangements in question in that situation. We may provide you with information (on our website, in our brochure and/or when you are on holiday) about excursions and activities which are available in the area you are visiting. If these excursions and activities are not purchased as a component part of your package holiday, we will have no involvement in these excursions or activities which are neither run, supervised nor controlled in any way by us. They are provided by local operators or other third parties who are entirely independent to us and do not form any part of your contract with us even where we suggest particular operators/other third parties and/or assist you in booking such excursions or activities in any way. Except as set out below, we cannot accept any liability on any basis in relation to such excursions or activities and the acceptance of liability contained in this section will not apply to them. We cannot accept liability for the behaviour of others in your accommodation or flight, or for any facilities/services withdrawn as a result of their action. For the avoidance of doubt, nothing in this agreement shall limit or exclude our liability for death or personal injury resulting from our negligence, for fraud or fraudulent misrepresentation or for any other liability the exclusion or limitation of which is not permitted by English law. Please be aware that there may be some additional costs payable once in the resort in addition to the quoted price of your holiday. On check in guests may be asked to pay a damage deposit to the hotel or provide card details as to cover any potential damages that may be caused during the stay. This will be returned if no damage is caused. We want all our customers to have an enjoyable holiday. We ask you remember, however, that you are responsible for your actions and the effect they may have on others. If we, or another person in authority, believe: your actions could distress, upset, annoy or disturb other customers, our suppliers or our own staff, or put them in any risk or danger, or damage property; or you are unfit to travel; we may prevent you from continuing in the relevant activity and/or end your holiday and terminate your contract. You and your party will be prevented from using your booked accommodation, transport, and any other travel arrangements forming part of your booking. We will not be liable for any refund, compensation or any other costs you have to pay. Please bear in mind that you are responsible for your safety, and that you are responsible for the condition of the property you occupy. We are not responsible for any accidents which occur in or around swimming pools due to your inappropriate or irresponsible behaviour, or for any accidents which occur anywhere on properties because of any items or property which you have broken and/or have left in a way in which injury can result. We will hold you and the members of your party jointly and individually liable for any damage or loss caused during the trip as a result of your own actions or the actions of a member of your party (including without limitation damage to the accommodation, furniture, apparatus or other materials located within the accommodation and to any vehicles), together with any legal costs we incur in pursuing a claim. It is your duty to report any breakages, defects or damage to an appropriate person immediately and to pay the accommodation owner or manager or other supplier directly for any loss or damage to property. You are responsible for your own timekeeping. If you do not arrive to the hotel, bar, club, boat party, or bus, by the departure time, you forego the right to go on the excursion. If your behaviour or the behaviour of any members of your party causes any transport aircraft to be diverted we and/or the carrier will hold you and those members of your party jointly and individually liable for all costs incurred as a result of that diversion. We are providing tickets to the events and do not supply alcohol. All local laws relating to the consumption of alcohol must at all times be obeyed, including any age restrictions. We appreciate that you may consume alcohol during the holiday. You must, however, do so responsibly and we will have no liability to you for any injury, loss or damage you suffer as a result of your judgment being impaired wholly or partly by alcohol. You must be in a fit state to enter the bars and clubs that we go to. If not, we are not responsible if you fail to be granted entry. Under no circumstances is the use of illegal drugs tolerated. Anyone found to have taken, or be possessing, substances which are illegal in the host country, will no longer be a part of the trip. You must not smoke in a hotel bedroom, caravan or apartment, or in any way that could cause a fire hazard. Except where otherwise specified in these booking conditions, we regret we cannot accept liability or pay any compensation where the performance or prompt performance of our contractual obligations is affected by reason of circumstances amounting to Force Majeure. In these booking conditions “Force Majeure” means any event which we or the supplier of the services in question could not, even with all due care, foresee or avoid. Such events may include war or threat of war, riots, civil strife, terrorist activity, industrial dispute, natural or nuclear disaster, adverse weather conditions, fire and similar events beyond our control. By making a booking with us, you agree we may use and disclose the information you provide for the following purposes: to enable us to process your booking (which will include passing your information to third party suppliers, such as hoteliers and airlines, and may involve sending your information to countries that do not have an equal level of privacy legislation to that in the UK); for market research and analysis purposes; for improving customer service; for the detection and prevention of fraud or other crime (which may include providing your information to organisations such as banks and credit card companies); for compliance with legal requirements (which will include passing your information to public authorities such as customs and immigration) and, where you have provided consent, for marketing contact by means of post or telephone to provide you with offers and details of the products and services we offer. If you wish to opt out of receiving marketing communications from us or selected third parties, you can do this via our website, by telephone or by putting your request in writing to 30-34 Parliament Square, Hertford, Herts SG14 1EZ. Telephone calls to or from us may be recorded for training and quality purposes and/or for the purposes of preventing and/or detecting crime. If you have booked with us via our website, or if you have chosen for us to contact you by email, we will communicate with you using the email address you have provided to supply you with your travel documentation. We are entitled to assume that the e-mail address you have provided is correct and that you understand and accept the risks associated with using this form of communication. During your holiday you may be filmed for promotional or commercial purposes, by agreeing to these terms and conditions you consent to being photographed or recorded whilst on your trip. We trust that you will have a great holiday. In the unlikely event that you encounter problems during your holiday, please notify the relevant service provider immediately (e.g. the hotelier, event manager, etc). If they cannot help, please speak to one of our reps or resort managers who will take reasonable steps to sort the problem out. If you are still not satisfied on your return home, you must write to us at Andorra Travel Service, El Feixa de Peretol, Plaça del Piol, Soldeu, Canillo, Andorra within 28 days of returning from your holiday to allow your complaint to be investigated properly. Please write your holiday reference number on your letter, and include your daytime and evening telephone numbers. You should ensure that you have given us the opportunity to resolve any problem locally by reporting it to the supplier or to our members of staff whilst in resort, otherwise we may not be able to deal positively with any complaint on your return. 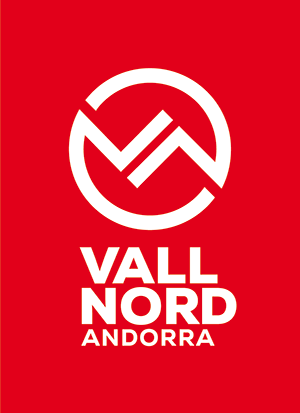 Andorra Travel Service, El Feixa de Peretol, Plaça del Piol, Soldeu, Canillo, Andorra.